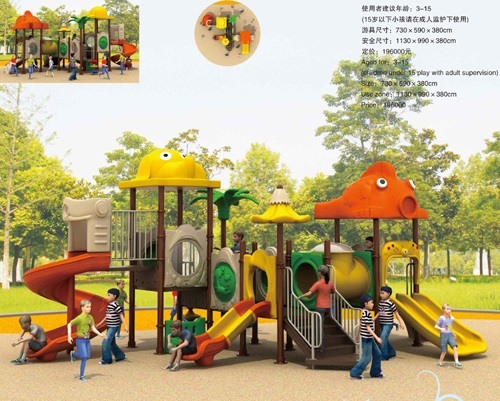 Kids outdoor playground for supermarket on high quality! 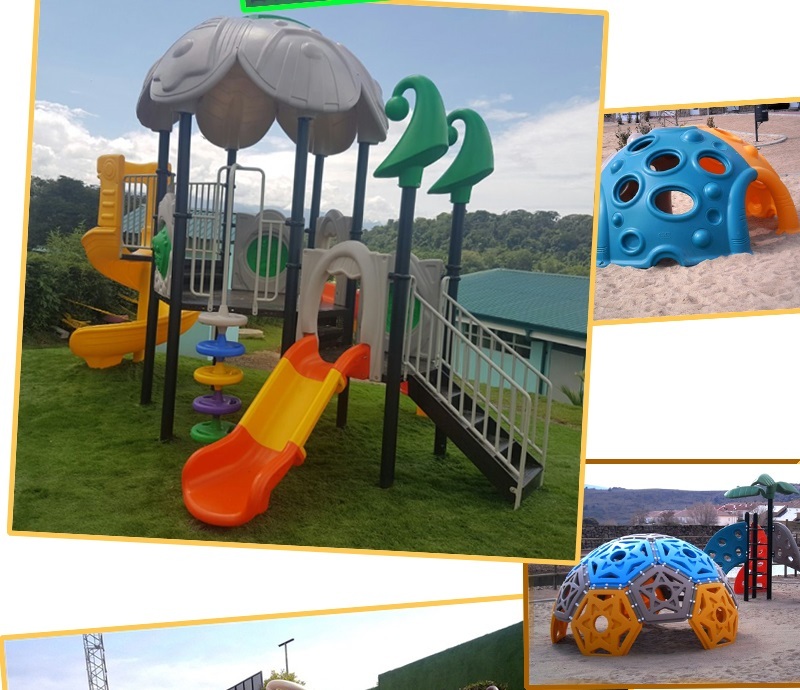 According to the Consumer Product Safety Commission report playground accidents are responsible for nearly 200,000 injuries each years in United States. 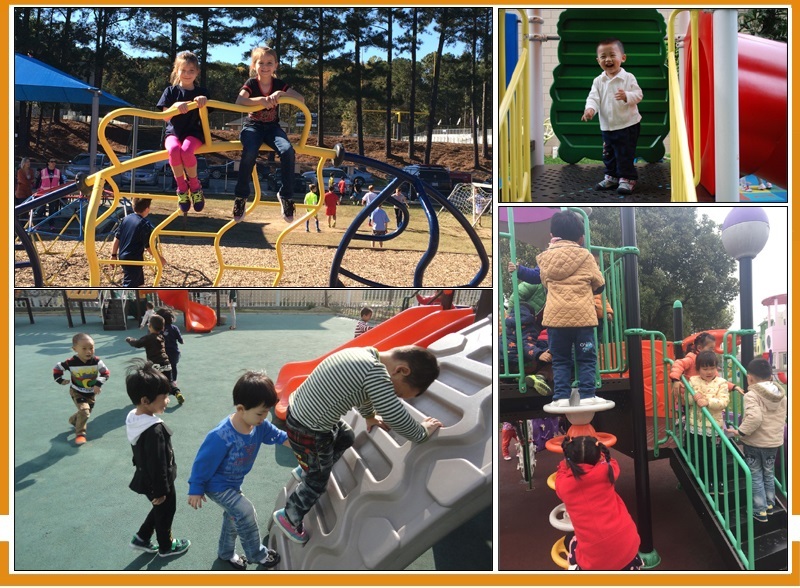 Using shock absorbing materials as a base for outdoor playground flooring are highly recommend by National Program for Playground Safety and CPSC. 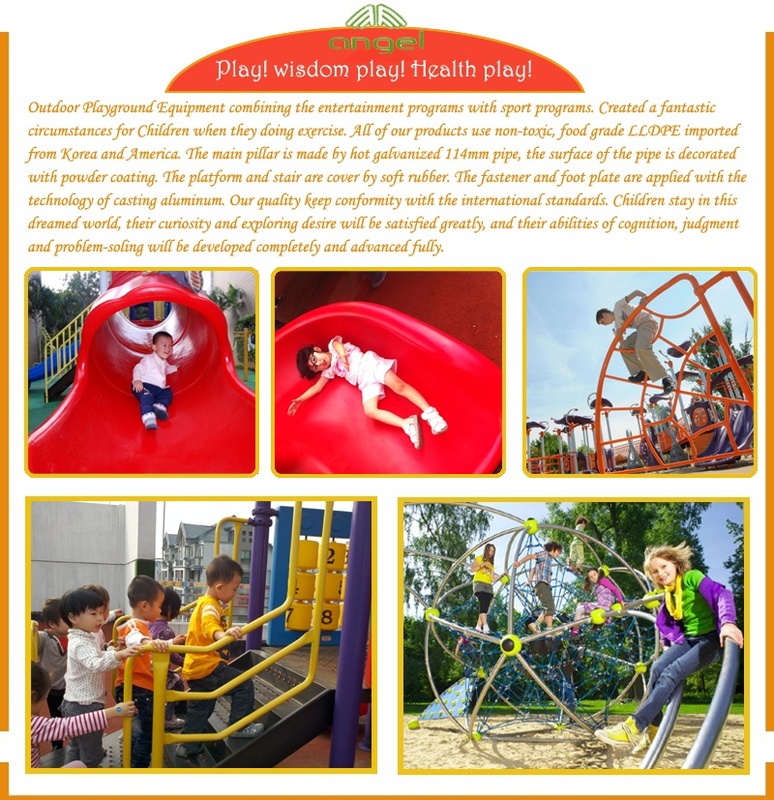 These materials lower the risk of serious injury due to falls and other accidents on play structures. 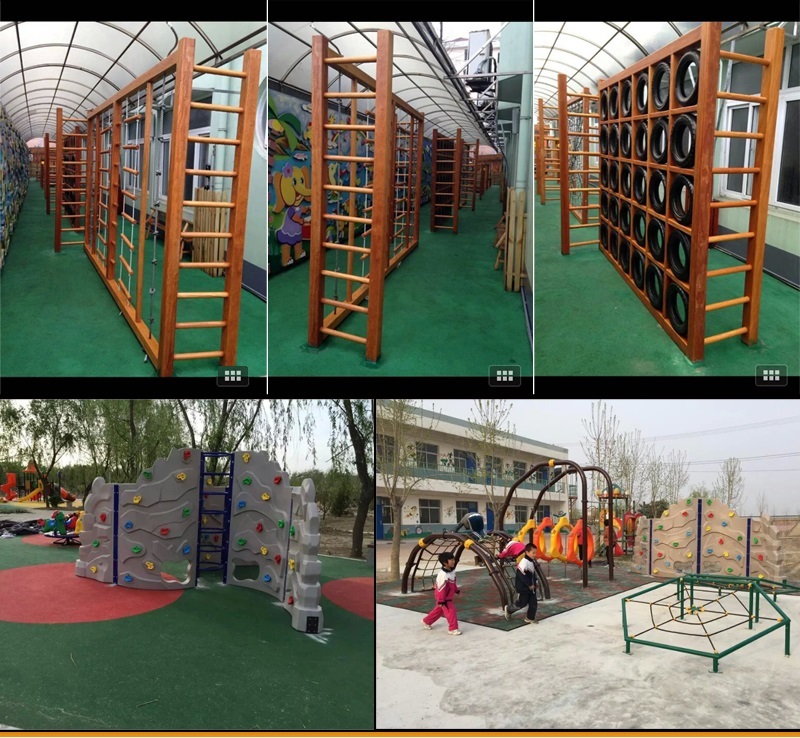 Most of school, community play area, public park, and amusement play center for kids already use such materials, below are advantage of different material use for outdoor playground flooring. 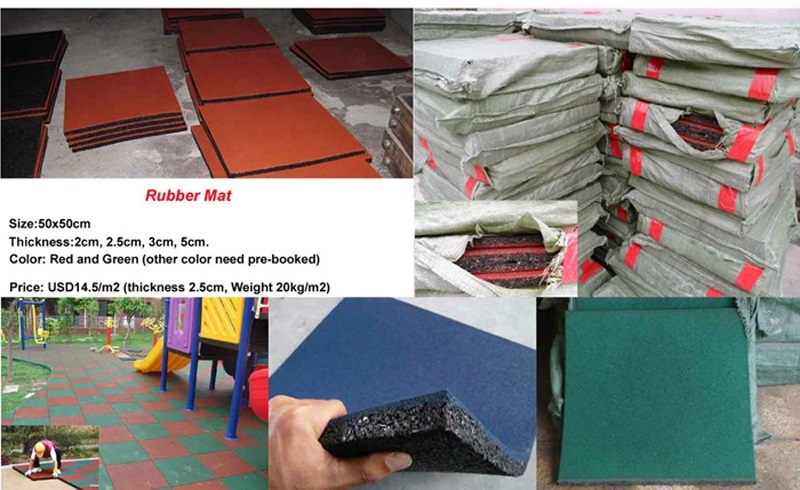 Rubberized playground flooring made by abandoned car tires which is flexible and durable. The mats are soft, providing comfort to young kids should they fall while playing. 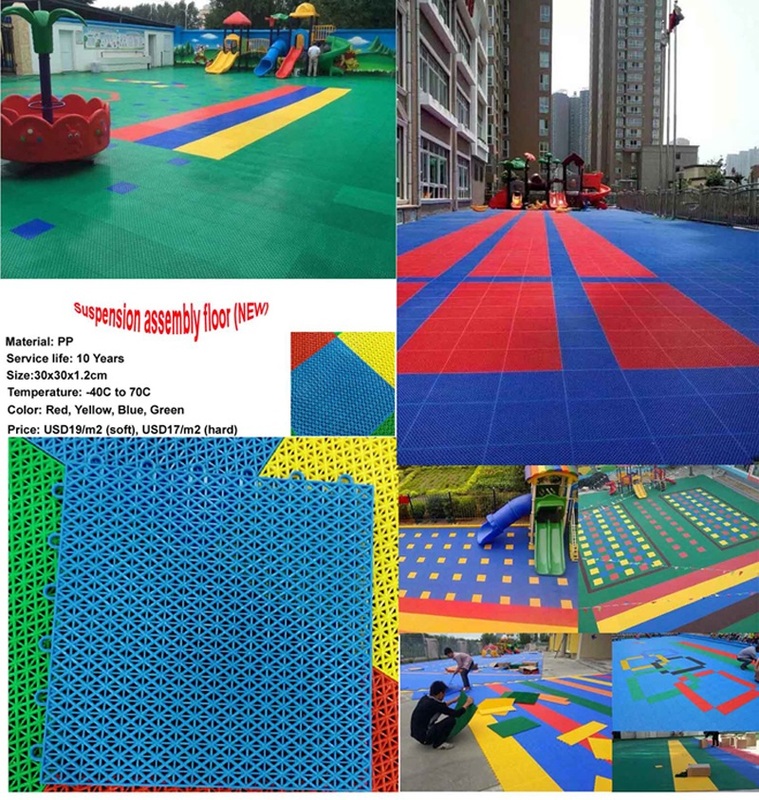 Rubber mats are strong and able to withstand the rough-and-tumble play characterized by young kids. 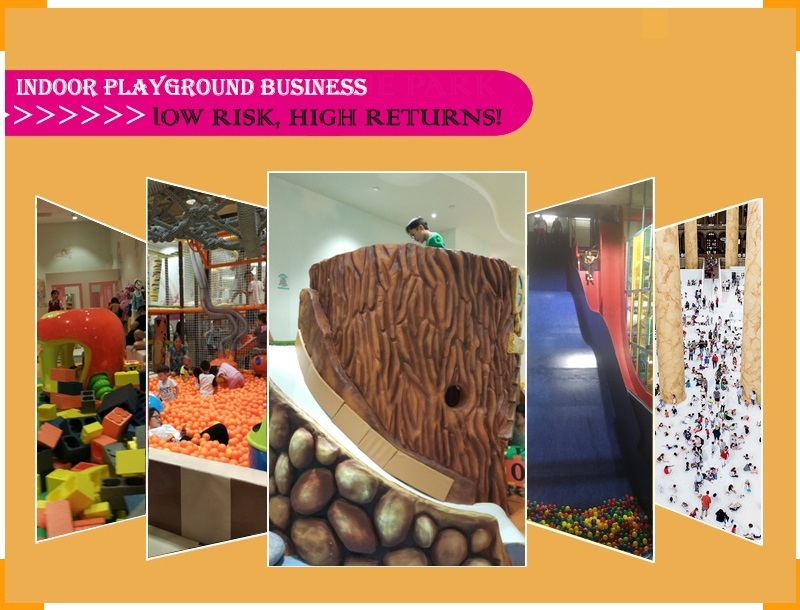 Rubberized flooring is used in gymnasiums and other athletic facilities, but it is also ideal for outdoor play yards. 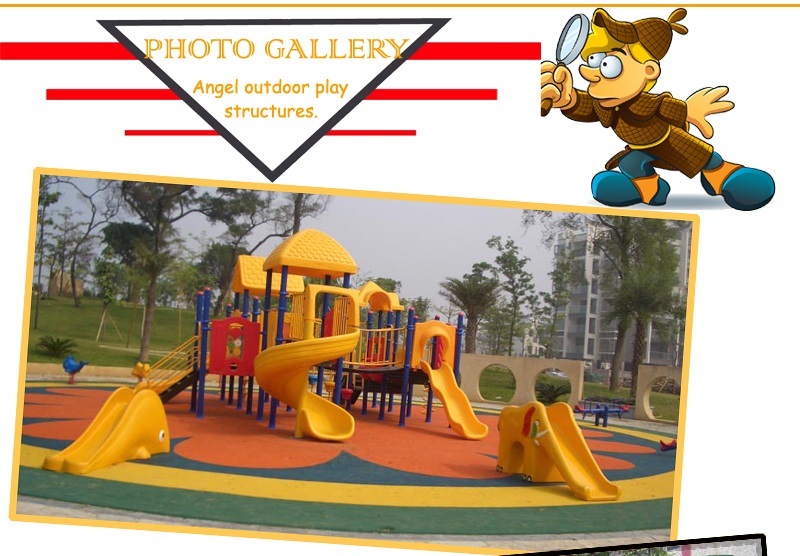 Start laying your rubberized playground flooring at one edge of the yard. Fit the pieces of rubber mats together like a puzzle. Use a utility knife to trim the edges of the flooring, or mark and cut them with a jigsaw. Spray a lubricant on the knife to enable it to easily cut through the rubber mats.Place a 2-by-4 board under the area when cutting the rubber mats with a utility knife. This provides an arch that makes it easier to cut through than when lying flat on the ground. Continue to install the rubberized flooring across the yard and diagonally until you get to the opposite three sides. Simply lay the flooring on the ground. Adhesive is not necessary when installing rubberized playground flooring. When equipment and supplies are moved onto the flooring, the mats might move some, but they will settle in eventually. Review all material options and specifications to determine which is best for your situation. Loose mulch is recommended as a surface for playgrounds. Hardwood mulch, or wood chips, is cost-effective and ideal for large surface areas. Rubber mulch is another consideration and offers the most versatility. It is available in either a nugget or shredded variety, with your choice of several colors. Rubber mulch is 100 percent metal-free. 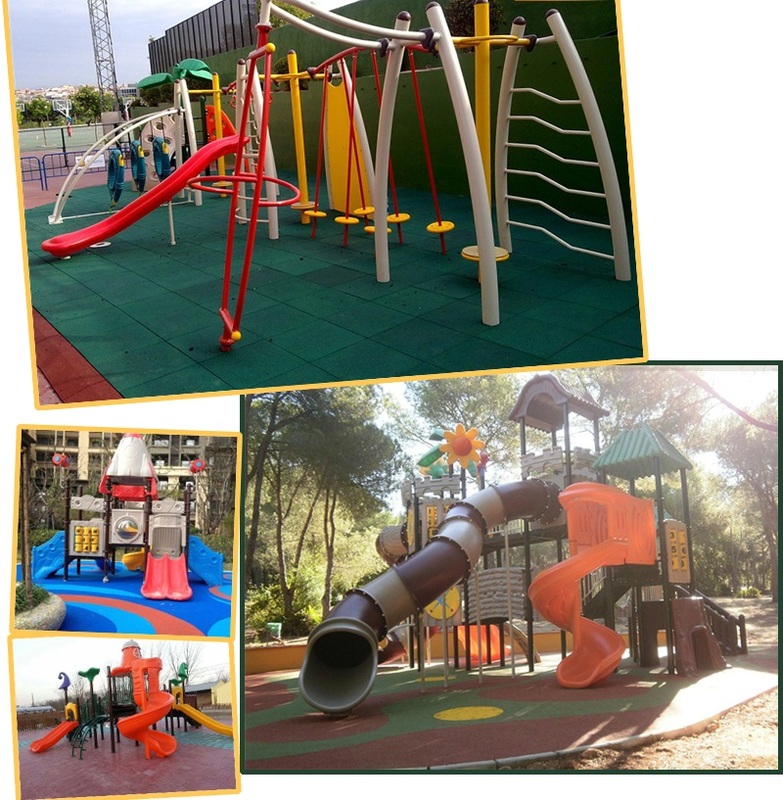 Interlocking rubber or synthetic tiles offer continuous, padded protection over the surface area of the playground. The tiles lock together and have an internal support structure built to safety specifications. They are long-lasting and available in a variety of colors. Maintenance is low, and minor repairs can be made with replacement filler. 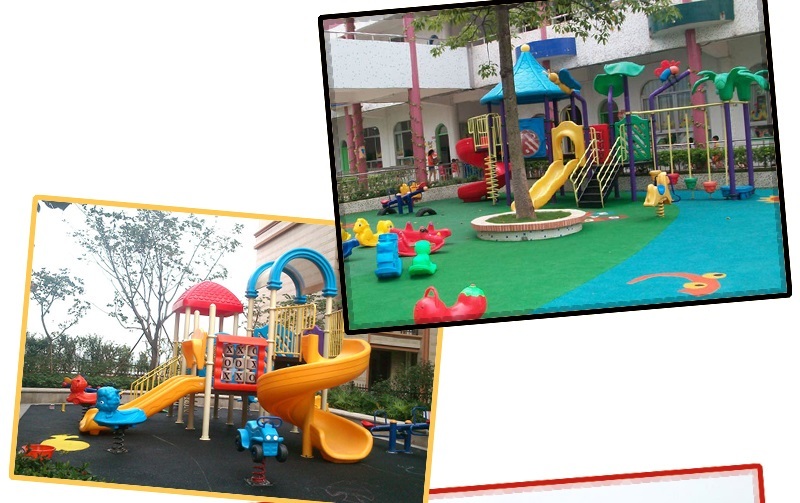 Synthetic poured surfaces are stationary playground surfaces made with a two-layer system. The base layer is composed of recycled tire buffings that provide the cushion. The top layer consists of rubber granules molded together with urethane. Synthetic poured surfaces have the advantage of being accessible for strollers and wheelchairs. 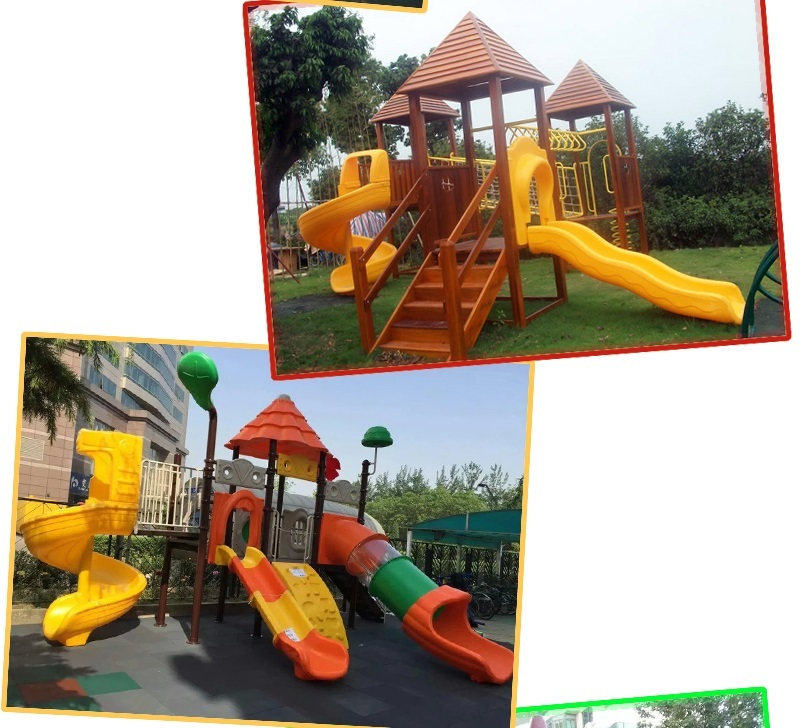 Areas of a playground that see heavy use, such as those around swings and slides, can be custom-poured for more durability and impact resistance. Artificial grass, or turf, was the original surface of choice for city playgrounds. It has come a long way since its first use, and now its design is similar to that of poured surfaces. The top layer consists of mono-filaments with the look and texture of real grass without the abrasive effects. The second layer is filled with a mixture of sand and rubber to reduce the impact of falls. Artificial grass is low-maintenance and doesn't need water or chemicals. It is pest-free and quick-drying, allowing for maximum playtime.